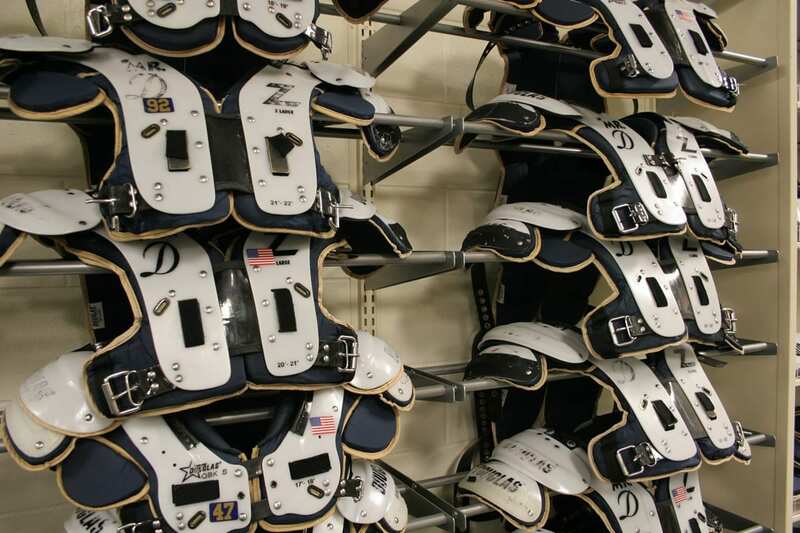 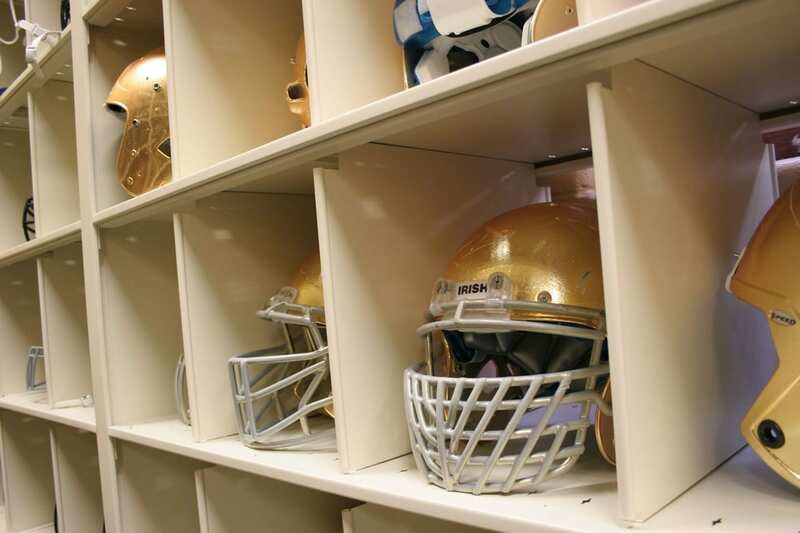 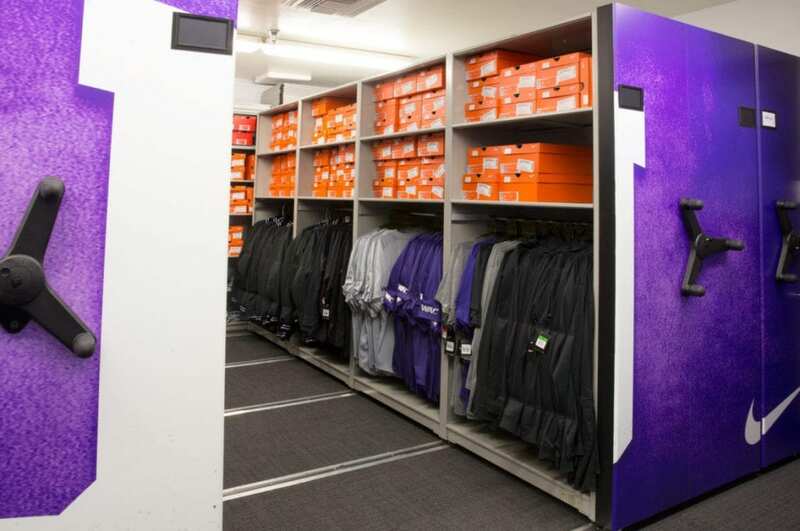 Your athletic equipment storage is so much more than just a glorified storage closet – it’s the place where every game and practice begins and ends, the place where gear is mended and repaired for maximum safety, and the place that houses the uniforms and apparel that are a source of pride for players. 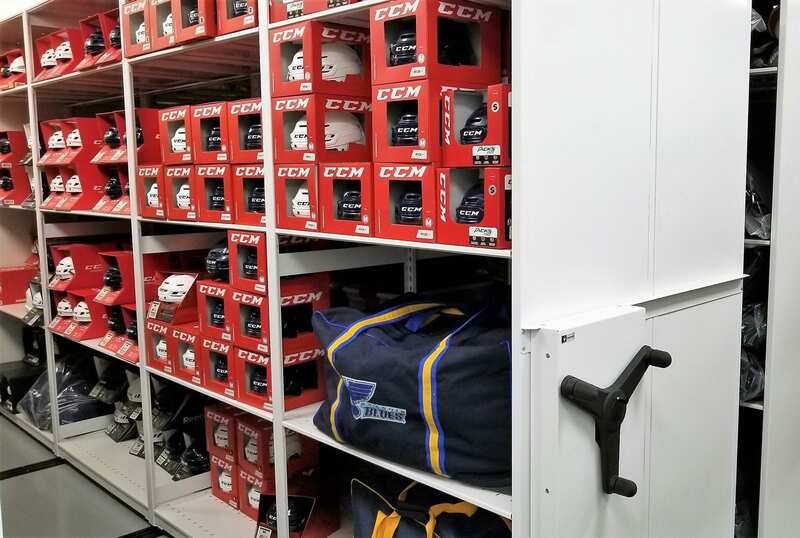 In the fast-paced world of athletics, keeping track of every uniform, ball, sock, and piece of gear – and ensuring they’re gameday-ready – for dozens of players can be challenging. 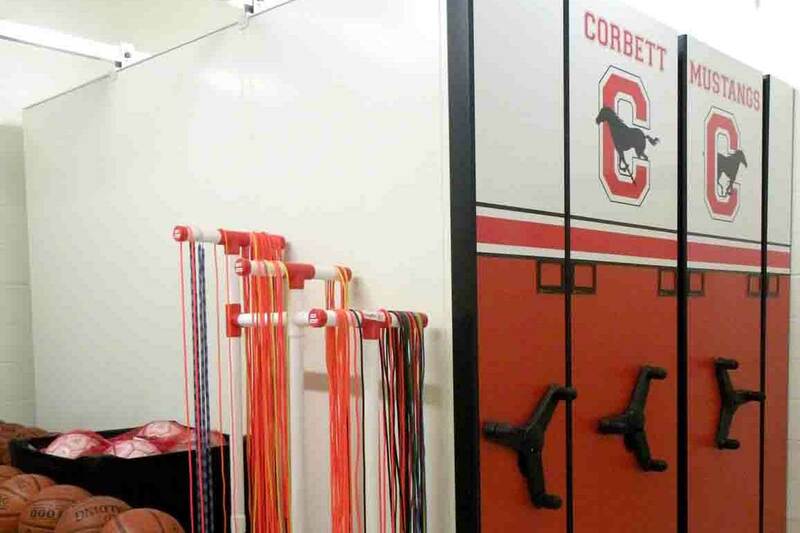 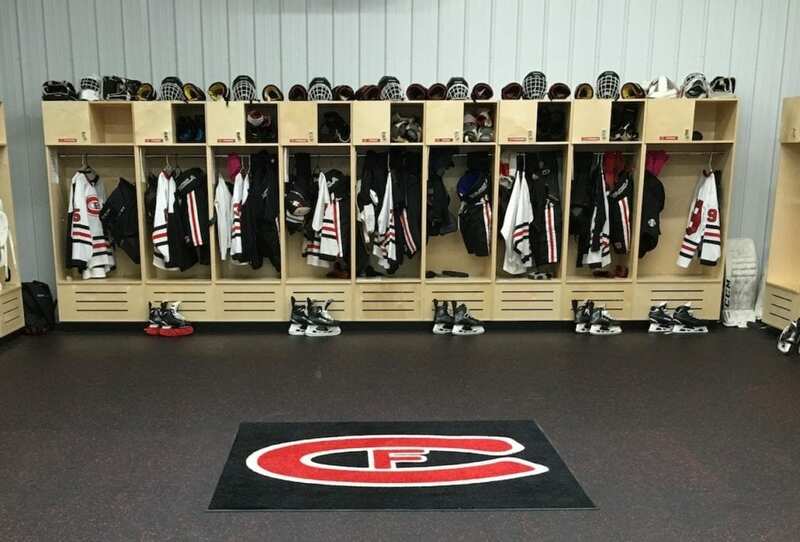 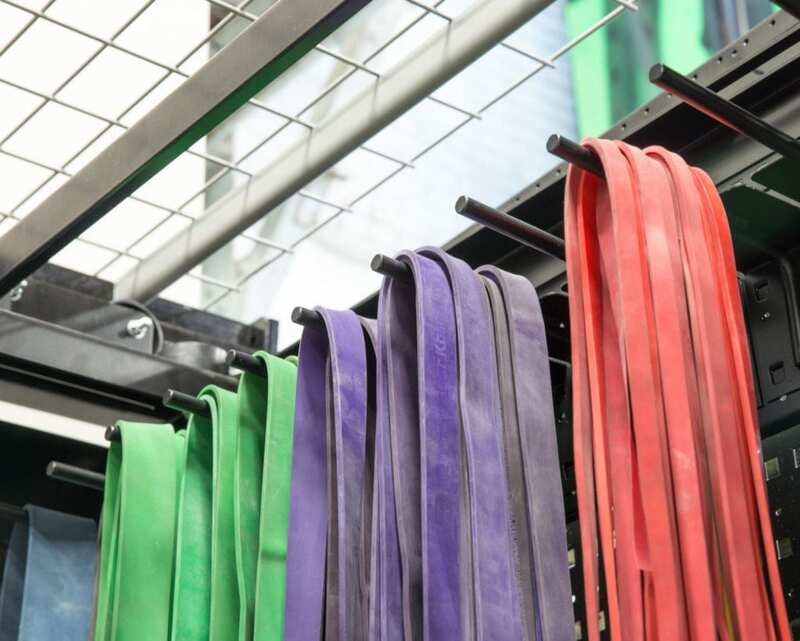 A better athletic equipment and uniform storage solution not only creates space for repair, washing, and training activities, but also helps your team to perform at the top of their game. 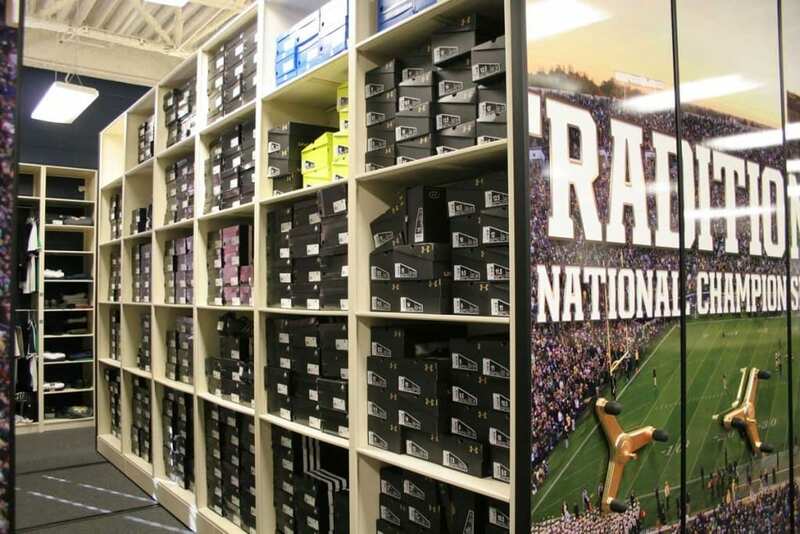 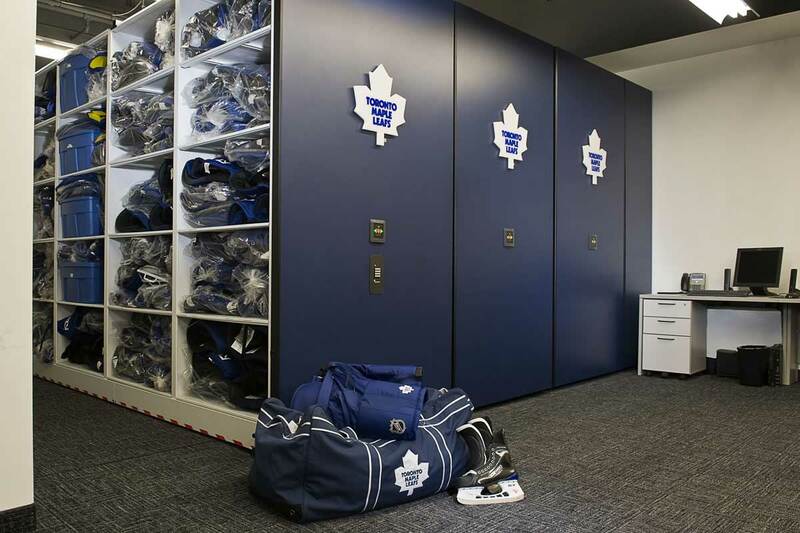 Game jerseys, practice pants, warmups, special event apparel, boxes of shoes, and endless amounts of socks are all easily tamed with a high-density mobile storage system configured to match your team’s needs. We’ll help you design the perfect combination of classic shelves, hanging racks, bins, and drawers to organize every piece of apparel. 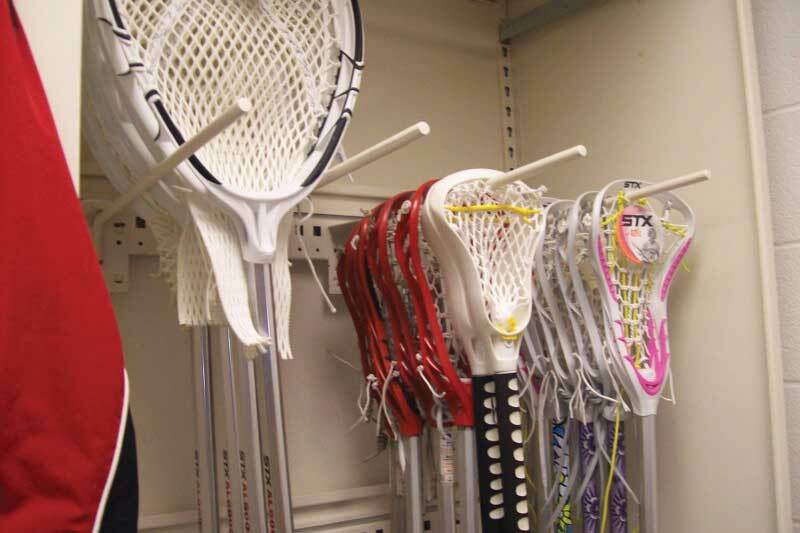 Bulky athletic equipment not only occupies a significant amount of space in your equipment storage – it also typically requires some of the most careful handling. 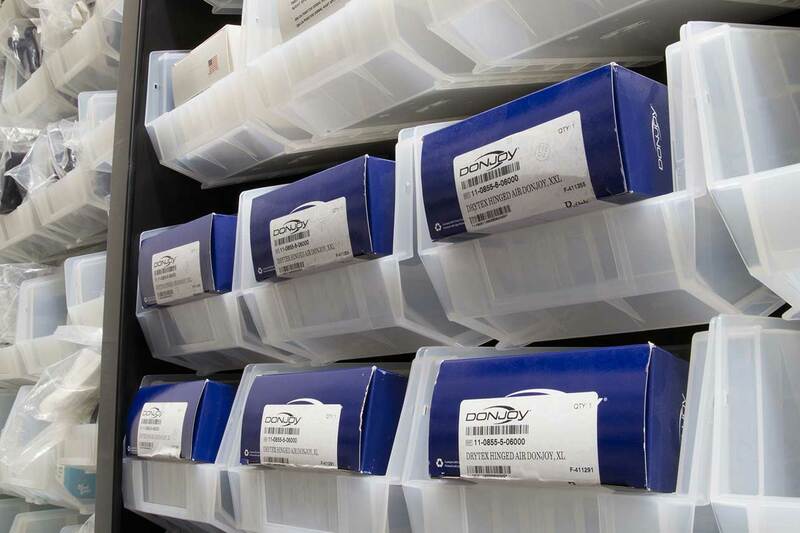 These challenges are tackled with innovative solutions that keep your gear compact and protected. 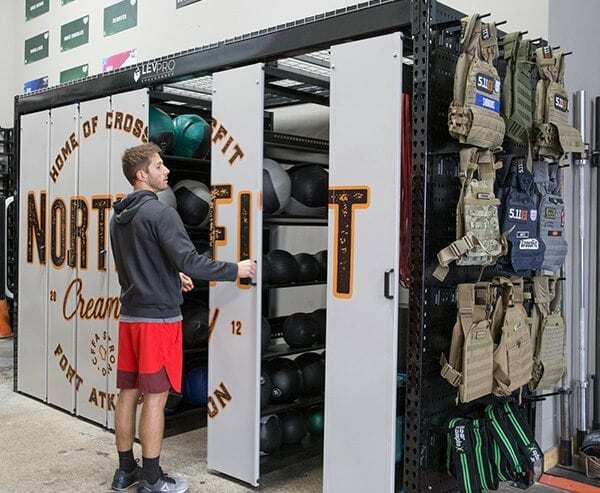 You’ve invested in the right equipment and now you need a smart storage solution to give your members all the room they need for their workouts. K-12 school environments often face the challenge of storing equipment for both competitive sports teams and general physical education programs. 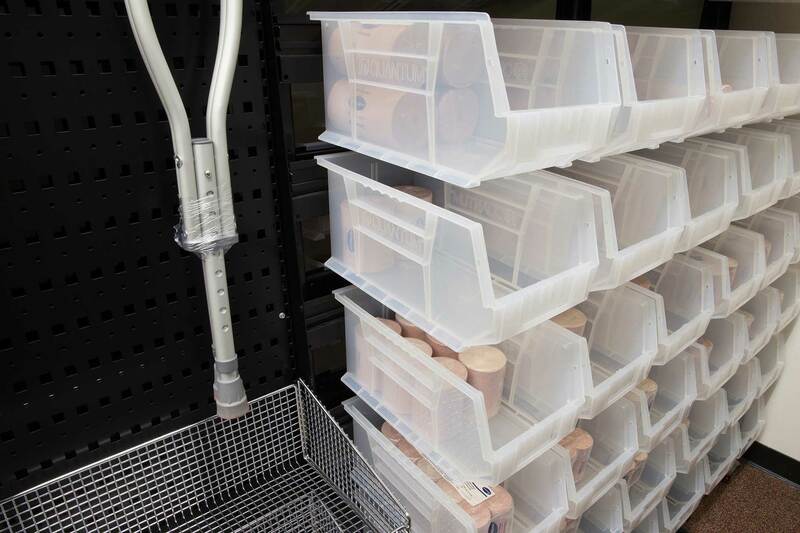 Low-profile mobile storage is a configurable, streamlined alternative to throwing your equipment into piles in that cramped storage closet. 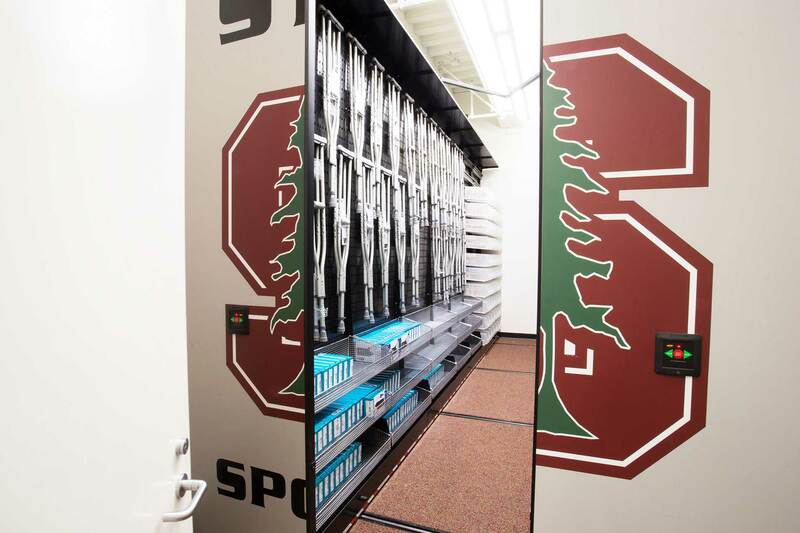 College and professional team trainers and sports medicine staff need space to store everything from crutches and braces to over-the-counter medications and bandages. 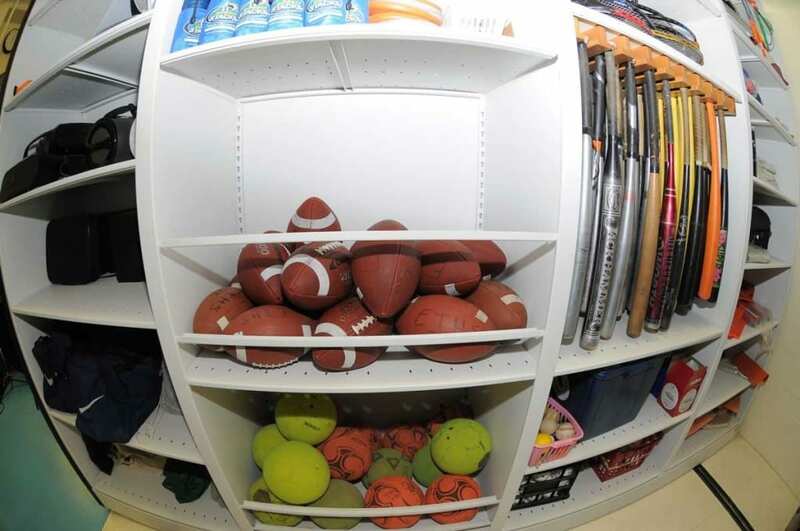 Due to the prices and nature of what is being stored, security is a priority, but the many small supplies also must be organized and accessible. 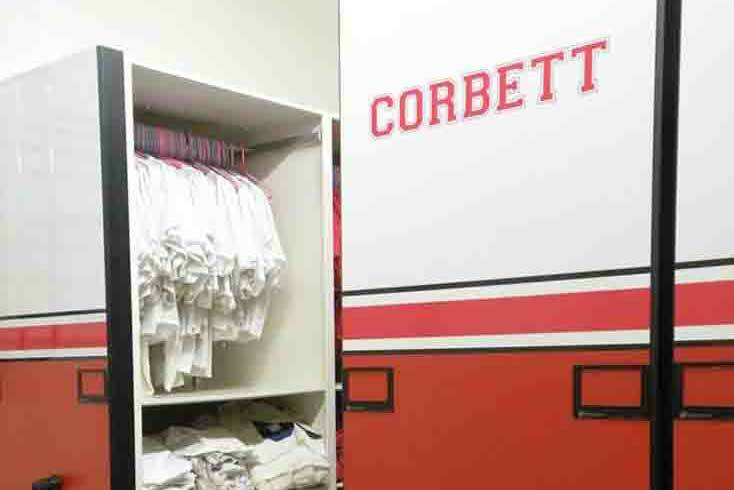 High-density mobile storage with accessories like bins, hooks, and drawers can be configured to make it easy to keep your athletes healthy. 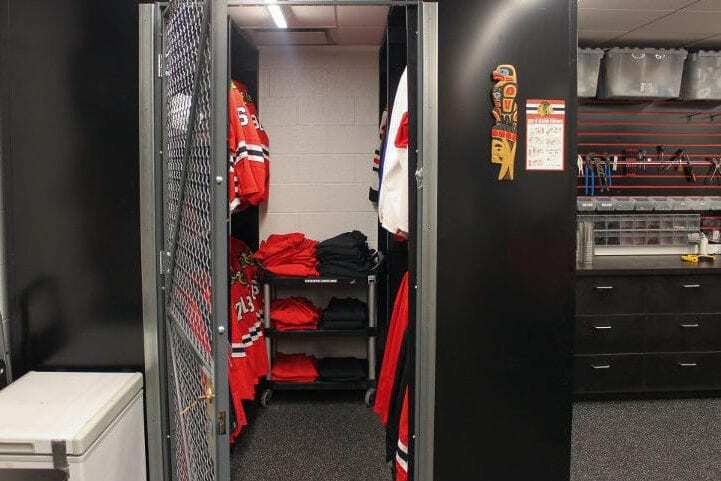 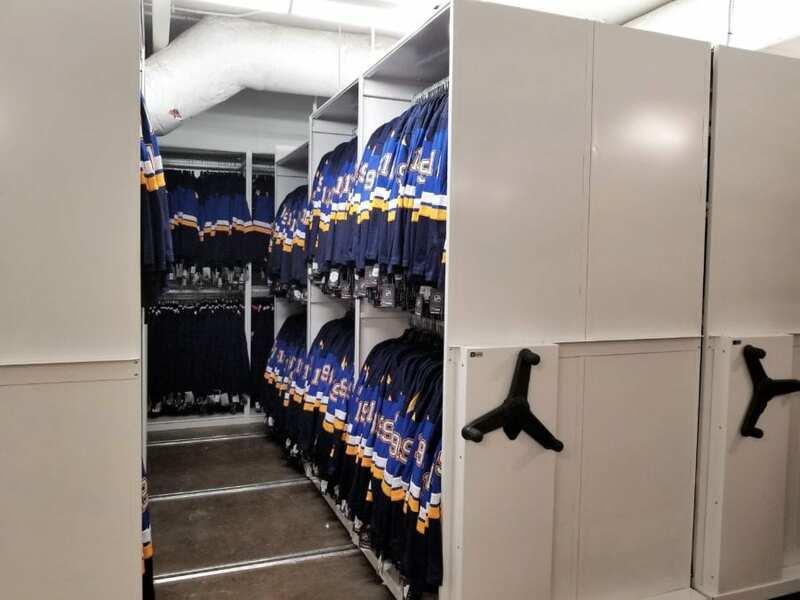 The St. Louis Blues hockey team had a lot of space for retail storage but the space was used inefficiently. 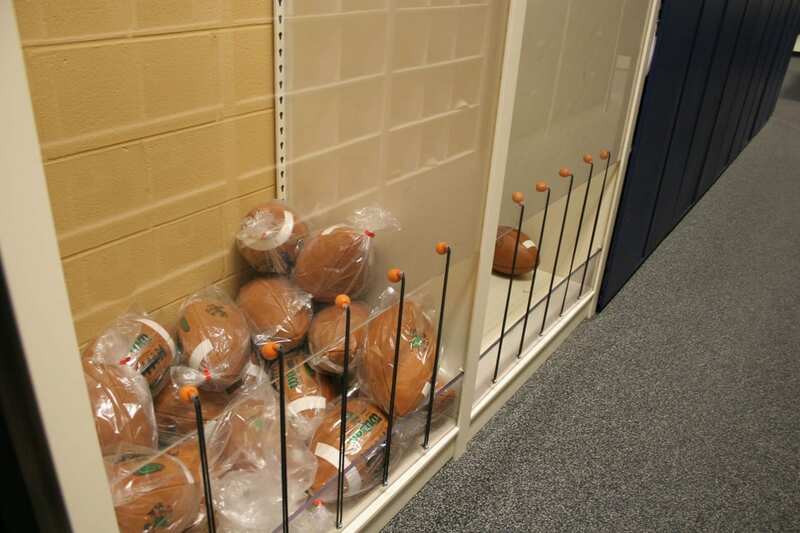 Staff had difficulty tracking items, and wasted a lot of time restocking items. 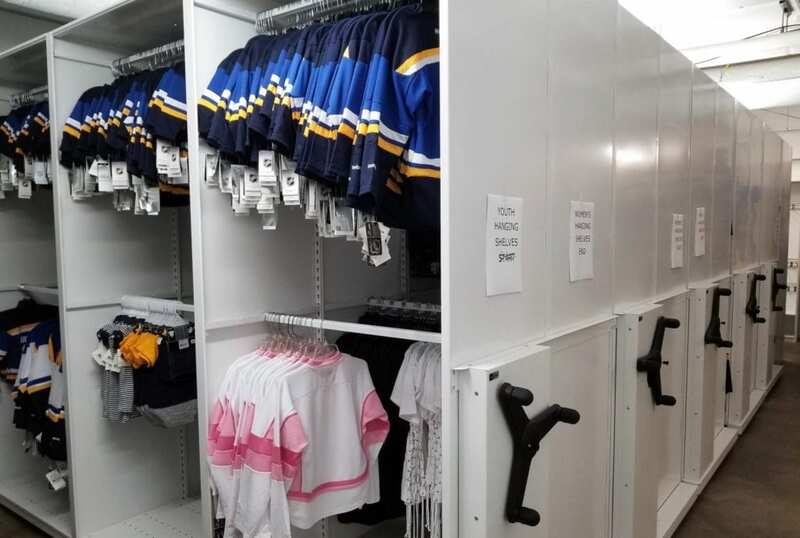 After transforming their storage using high-density shelving, the storage area makes the best use of space and the staff’s time. 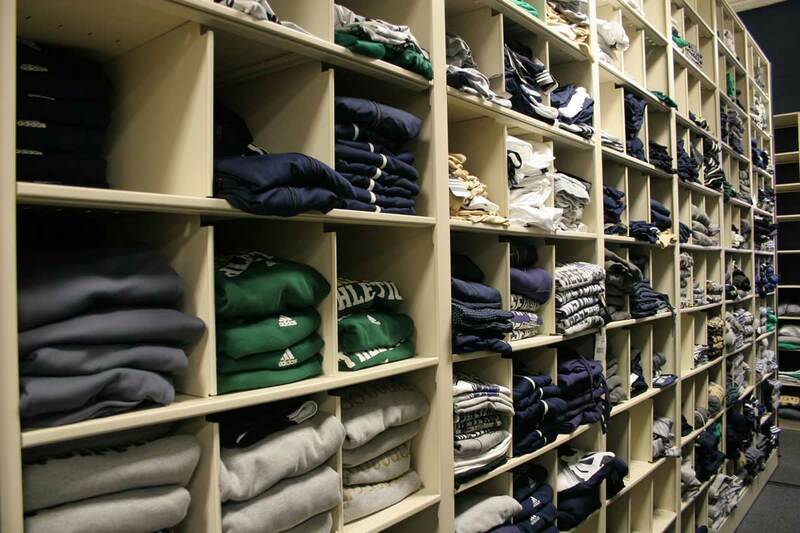 Every single piece of inventory has a home, which saves time, and helps balance inventory levels.